Amazon Launches New Initiative to Encourage Sellers to Sell New Products. Have you thought about joining millions that are making a nice living through Amazon? If not, it might be time to start thinking in this direction. Well, Amazon loves new sellers, and has been finding new ways of encouraging them. As a result, selling new products is easier than ever. Example: Between 21 August and 30 September 2018, sellers will get a reimbursement of long-term storage fees for a period of up to six months. All you have to do is be a part of the FBA (Fulfilment by Amazon) program and create new listings. If the products qualify for the promotion, you can save money on storage. This is great news for existing sellers as well. 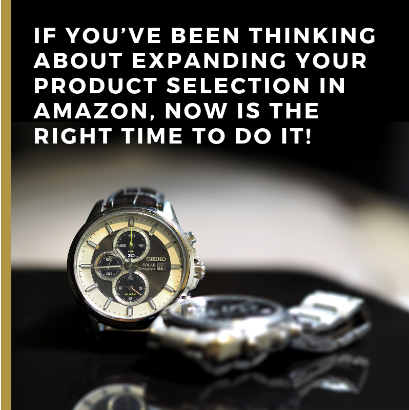 If you’ve been thinking about expanding your product selection, now is the right time to do it. Some sellers believe that the storage fees are a bit high. In all fairness, there are good reasons for this. The fulfilment centres aren’t easy to operate, and the fees ensure that everything runs smoothly. Still, every seller loves a good bargain. If you want to save up a bit and invest that money into your products, you should definitely think about taking this chance. This promotion doesn’t only benefit the sellers but Amazon as well. Thanks to this promotion, Amazon will be able to build a comprehensive product catalogue. The number of shoppers will increase as well, which will add more value to the Prime program. This is a great opportunity that you probably don’t want to miss. Whether you’re a new seller or not, now is a good time to devote some special attention to your Amazon business. If you’re not sure how to take full advantage of it, we’re here to help. Our experts will help you understand everything there is to know about making money on Amazon. If you want to know more, join us on our FREE webinar now!